Want to be a Student Athlete in College? FAFSA - Who is my parent? If you would like to receive text messages concerning important scholarship or college visit information from the guidance office, you can text 81010 with the message @ripp. This will put you on a text server and you will receive text messages from guidance throughout the year. Parents are encouraged to register as well. October 17, 2018. The application and eligibility information can be found at http://www.wendyshighschoolheisman.com. NATIONAL SERVICE ACADEMY NOMINATION PROGRAM- If you wish to attend a military academy such as West Point, the Air Force Academy, or the U.S. Naval Academy, you must be sponsored by a U.S. Senator. Your senator for contact is Sherrod Brown. The application for sponsorship should be filled out in spring of your junior year but applications can be submitted as a senior. Applications can be requested at http://brown.senate.gov. You may also apply with Congressman Steven Stivers, Senator Portman, Vice-President Biden and President Obama. Applications can be found on their websites. 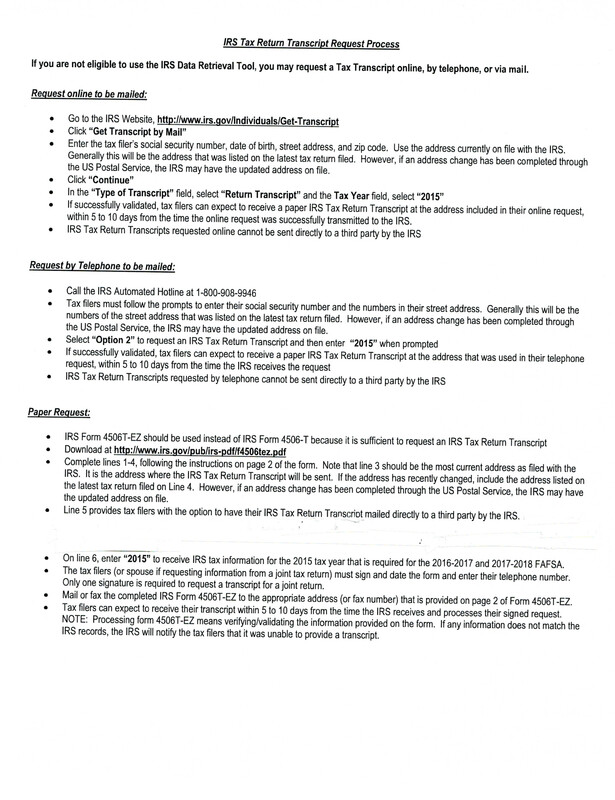 Information among these offices is not shared so the candidate is responsible for maintaining files at each office to which he/she makes application. Application deadline is September 21, 2018 by 5:00 p.m.
October 25, 2018. There is a counselor portion that must be completed by Mrs. Rippeth online so if you apply, be sure to let her know to watch for the email. NOVEMBER 1, 2018. This is a hard deadline so there is no flexibility to this. LAND GRANT OPPORTUNITY SCHOLARSHIP FOR OHIO RESIDENTS (OSU)-This scholarship is awarded to at least one student from each of Ohio's 88 counties. Those selected demonstrate both academic merit and financial need. This is a full-tuition scholarship. Ohio residents who apply to the university by February 1, 2019 and file the FAFSA by February 1, 2019 will automatically be considered. November 15, 2018. Applications will require the local post number which is Jackson #466. September 28, 2018. Completed applications need to be returned to Mrs. Rippeth. Dr. James H. and Nellie Rowley Jewell Cutler Scholar Award at Ohio University- This is a full scholarship, renewable annually, available to students from Meigs and Vinton Counties. The recipient receives a full academic scholarship per year, as well as $3,000 each year to support a series of four individually- designed extracurricular experiences: an outdoor leadership experience (summer before beginning at OU), public service internship, professional internship, and work or study abroad experience. The Jewell Cutler Scholar Award is part of the Cutler Scholars Program. All seniors from Vinton County High School are eligible to apply. Applicants are selected based on the following criteria: intellectual curiosity, civic responsibility, leadership and character. There is no GPA or ACT criteria (successful applicants have historically possessed a cumulative GPA of 3.4 or greater). Students can access the Cutler Scholars instructions for application and FAQs online at http://cutlerscholars.org/become-a-cutler-scholarbut should use the Common Application (to be considered please indicate that it is your intention to apply for the Cutler Scholars Program) to apply and submit the required components. The application requires an activity list or a resume,one letter of recommendation, and a response to the Cutler Scholars short answer question in the writing supplement section of the Common Application. You are also required to respond to either the Common App essay prompts or the Ohio University optional essay. We also request a counselor's evaluation of applicants' academic achievement and involvement as compared to other students at VCHS. Application deadline is December 1, 2018. All items-including completed application forms, high school transcript, and any applicable test scores must be received by that date. The Cutler Scholars Program also has Discipline Awards so visit the website to see a list of eligible academic disciplines. QUEST BRIDGE NATIONAL COLLEGE MATCH- This is a nationally recognized nonprofit that connects high-achieving, low-income students to full four-year scholarships at the nation's best colleges. Applicants should excel academically and exhibit strong personal character (rank in the top 5-10% and have a minimum ACT of 28) and should have an annual household income of less than $65,000/year. Applications and more information can be found at http://www.questbridge.org/referApplication deadline is September 27, 2018. UNIVERSITY OF RIO GRANDE CHEMISTRY ACADEMIC EXCELLENCE SCHOLARSHIP- This is a scholarship competition that allows students to compete for scholarships to major in chemistry at University of Rio Grande. The scholarships can be as much as $2500 and the awardees will have a chance to increase the scholarships as they continue to demonstrate academic achievement while pursuing their chemistry degrees. The process will involve an application, letter of recommendation from your chemistry teacher and aacademic transcripts. Select students may be invited to campus for an interview. Students are also required to submit an application for admission into URG for fall 2019. Application deadline is November 1, 2018. please go to http://www.rio.edu/chemistry for more information and to apply. SEARCHING FOR WAYS TO PAY FOR COLLEGE. FOR MORE INFORMATION GO TO SCHOOLQUEST.ORG. IF YOU HAVE QUESTIONS REGARDING THIS SITE, CONTACT THEM DIRECTLY AT SCHOOLQUEST@MilitaryChild.org. OHIO JCI SENATE CHARITABLE AND EDUCATION FOUNDATION SCHOLARSHIP PROGRAM- Applicants must be graduating high school seniors in the United States and must be a US citizen to apply. You must also reside in Ohio. There are academic-based and need-based scholarships but you may only apply for one so please read guidelines carefully. One of the need-based scholarships will go to a student in Allen, Putnam or Van Wert counties but the remaining three can go to any of the counties. Applications are available for download on this site. Application deadline is January 11, 2019. November 6, 2018. Apply online at http://spirit.prudential.com. CINCINNATUS Scholarship Program- If you are interested in attending University of Cincinnati, their scholarship program Cincinnatus XXI has a deadline quickly approaching. In order to be eligible for their scholarship program you must have applied for admission to the university by DECEMBER 1ST. For an application to be considered complete, it must have the application, transcript and test scores (they have to be sent directly from ACT or SAT). BOWLING GREEN STATE UNIVERSITY- In order to be eligible for the top scholarships at Bowling Green, they must have received your admissions application by December 5, 2018. In order to be eligible for any freshmen scholarship consideration, applications must be received no later than January 15, 2019. Applying after that date will not result in non-admission but will make you ineligible for scholarship consideration by Bowling Green. SOUTH CENTRAL POWER COMPANY FOUNDATION ACADEMIC SCHOLARSHIPS/OPERATION ROUND UP-Applicants must have a 3.25 GPA and a composite ACT of at least 22. Students must reside within a county served by South Central Power Company and be accepted by an accredited college, vocational, or technical school for the fall of 2019. Applicants are not required to live in homes served by South Central Power Company but must live within their service area. 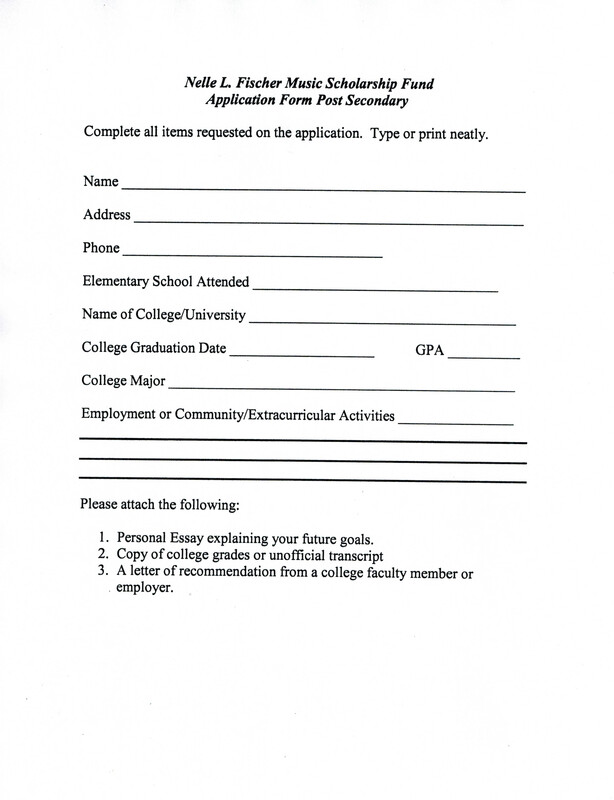 Applications can be found at www.southcentralpower/community/scholarship-programs. Application deadline is February 1, 2019. SOUTH CENTRAL POWER COMPANY FOUNDATIONTECHNICAL SCHOLARSHIPS/OPERATION ROUND UP- Applicants must be graduating seniors who have all basic credits for entering 2-year associate program, vocational or technical school, must have at least a 2.5 GPA and must live in a county serviced by South Central Power Company. Applications can be found at www. southcentralpower.com/community/scholarship-programs. Application deadline is February 1, 2019. ROVE PEST CONTROL SCHOLARSHIP- This scholarship is available to current seniors who will be attending college in the Fall 2019 and have a minimum GPA of 3.0. Applications can be found at http://www.rovepestcontrol.com/rove-pest-scholarship/ Deadline for application is December 31, 2018. JAKE BAPST SCHOLARSHIP (URG)- This scholarship is for full tuition for two years at the University of Rio Grande. Applicants must attend high school in the four county service district of Jackson, Gallia, Meigs, and Vinton (including Buckeye Hills). One student will be chosen from each high school. Applications can be returned to Mrs. Rippeth who will then forward them on to URG. Application deadline to URG is January 15, 2019. Applications can be found on this site or in the guidance office. DISTRICT COUNSELOR'S SCHOLARSHIP (URG)- This scholarship is for full tuition for four years at the University of Rio Grande. Applicants must attend a high school in the four county service district of Jackson, Gallia, Meigs, and Vinton (including Buckeye Hills). A minimum GPA of 3.2 and a minimum ACT score of 21 is required of applicants. Please submit applications and all required documents to Mrs. RIppeth prior to December 1, 2018 so that she can have them to Taylor Noel at URG by the December 1 deadline. Applications can be found on this site or in the guidance office. You may also complete the application online. REDSTORM SCHOLARSHIP- There are more than 300 scholarships available. These are renewable and vary in amounts awarded. To apply complete the online application on the University of Rio Grande Financial Aid page. It is a short form with no essay requirement. Application deadline is January 15, 2019. HOCKING COUNTY 4-H SCHOLARSHIP FOR GRADUATING SENIORS- Applicants must be a graduating senior, have completed at least 5 years in Hocking County 4-H and be a current 4-H member. Applications can be found on this website under forms. Application deadline is March 1, 2019 by 4:00 p.m. ENGINEERS FOUNDATION OF OHIO COLLEGE SCHOLARSHIP- Applicants must be a graduating high school senior with at least a 3.0 GPA.Applicants must also have a minimum ACT scores of a 29 in Math and a 25 in English or minimum SAT scores of a 600 in Math and a 500 in Reading or Composition. Applications can be found on this site under forms or outside of the guidance office. Application deadline is January 15, 2019. HOMELAND CREDIT UNION SCHOLARSHIP- Applicants must be a member or a dependent of a member of the credit union, a high school senior with a minimum GPA of 2.5, and plan to enter college as a full-time student at a two or four year college or university. Applications can be found on this site, online at https://www.homelandcu.com/about-us/community-involvement or outside of guidance. Application deadline is January 31, 2019 and should be mailed directly to the address on the application. HARRY B. CREWSON FRESHMAN SCHOLARSHIP (OU)- This scholarship is available to those seniors who are members of the Ohio University Credit Union whose parents are members. You must be attending OU as a first-year student and demonstrate excellence in community activities and/or talent areas in addition to academic achievement in high school. Applications can be found at http://www.oucu.org/home/personal/college/scholarships. Application deadline is March 1, 2019. DOWN SYNDROME ASSOCIATION OF CENTRAL OHIO SCHOLARSHIP- This scholarship is available to those seniors or high school graduates who are either individuals with Down syndrome or siblings (brother or sister, including half brother/sister and step brother/sister) of a person with Down syndrome (living or deceased). Other relatives will be considered at the discretion of the DSACO Scholarship Committee. The applicants family member with Down syndrome must reside in the 23 county area of Ohio that DSACO supports. Eligible fields of study include but are not limited to: nursing, education, social work, medicine, occupational therapy, physical therapy, and speech and language pathology. Other areas will be considered. Application deadline is January 31, 2019 at 5p.m. Applications can be found on this site under the forms section. January 4, 2019 on The Ronald Reagan Presidential website. Apply at reaganfoundation.org/scholarships or facebook.com/GEReaganScholarships. WILLIAM D. SQUIRES SCHOLARSHIP- These scholarships are available to current Ohio seniors. Eligibility is primarily based upon financial need. 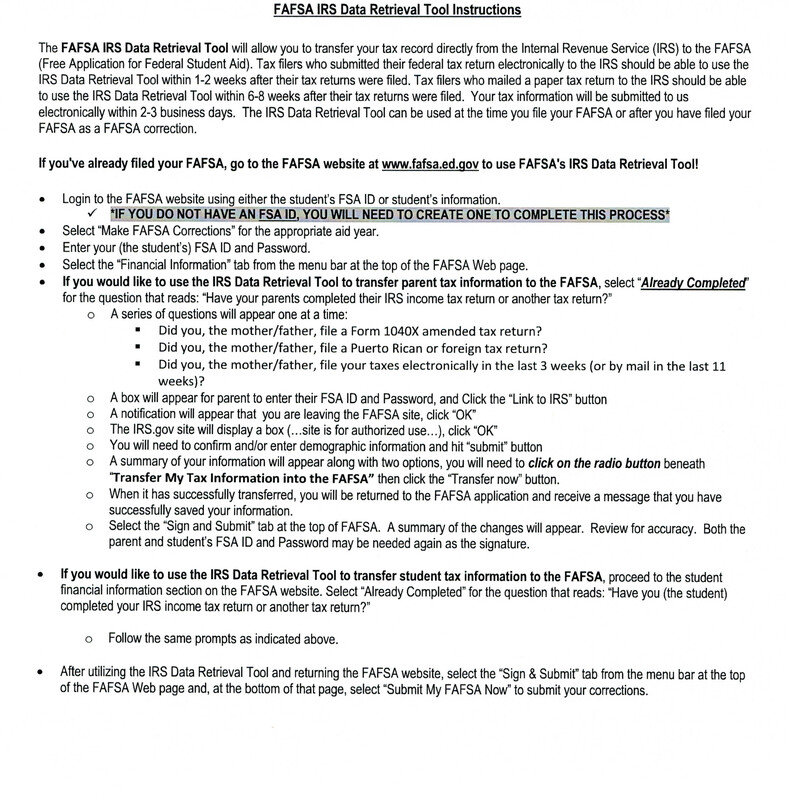 The EFC on you FAFSA Student Aid Report must be less than 7,000 to apply. Applicants must already know their career goal, be highly motivated, of good character, show academic promise and have a minimum GPA of 3.20. Applications are available at www.wmdsquiresfoundation.org . Application deadline is April 5, 2019. OHIO OIL AND GAS ENERGY EDUCATION PROGRAM/FOUNDATION- Applicants must have a career goal in the crude oil and natural gas industry, be an Ohio resident and have a minimum of a 2.5 GPA. Applications can be found at www.oogeep.org and deadline for application is March 1, 2019. WACE NATIONAL CO-OP SCHOLARSHIP PROGRAM-These scholarships are available to current seniors with a minimum GPA of 3.5 who would like to attend University of Cincinnati, University of Toledo, Clarkson University, Drexel University, Johnson &Wales University, Merrimack College, Rochester Institute of Technology, State University of New York Oswego, University of Massachusetts Lowell, or Wentworth Institute of Technology. Applications can be found at www.waceinc.org Application deadline is February 15, 2019. SCIOTO VALLEY ASSOCIATION OF REALTORS SCHOLARSHIP- Applicants must be a graduating senior in Ross, Pike, Jackson or Vinton County, or an immediate family member (child, grandchild or under guardianship) of a SVAR dues paying member in good standing. Applicants must have a GPA of at least a 2.5. Applications are available on this site or outside of the guidance office. Application deadline is April 1, 2019. OHIO CHRISTIAN UNIVERSITY CREATIVE COMMUNITIES SCHOLARSHIP AND INTERNSHIP- Application criteria include: 1. Academics- minimum ACT of 22, a high school GPA of 3.3 and one recommendation letter from an academic reference. 2. Character, Service, and Leadership- Students who volunteer, are active in their communities or churches, or show leadership potential are preferred. A letter of recommendation from someone familiar with the student's character or service is requested. 3. Attend a public or private school with approximately 750 or fewer students in grades 9-12. Applications are available at www. ohiochristian.edu/scholarships. Application deadline is February 1, 2019. Award amount is $10,000 towards tuition and $2,500 per year for internship work in a field aligned with the chosen major. OHIO-MICHIGAN ASSOCIATION OF CAREER COLLEGES AND SCHOOLS LEADS SCHOLARSHIP PROGRAM- These scholarships are available to Ohio and Michigan seniors. Information about the scholarship program and the application can be found at www.omaccs.org. Application deadline is April 12, 2019. OHIO GAS ASSOCIATION SCHOLARSHIP- This scholarship program is open to students who plan to pursue a career in the natural gas industry or related energy field. Candidates must have a minimum GPA of 3.0. A list of qualifying majors as well as downloadable applications can be found at www.ohiogasassoc.org . Application deadline is March 15, 2019. PAR MAR STORES SCHOLARSHIP PROGRAM- This scholarship is available to any senior who resides in Pennsylvania, Ohio, West Virginia, or Kentucky. Applicants will be selected on the basis of academic record, community involvement, school activities, honors, work experience, statement of career goals and financial need. Application deadline is April 30, 2019. Applications can be found at www.parmarstores.com . WELLER SCHOLARSHIP- This scholarship is available to any senior at VCHS who will be attending ANY college or to a current student at the University of Rio Grande who is a graduate of VCHS. Applications are available at www.wellerscholarship.org . Application deadline is April 30, 2019.
and should be returned to Mrs. RIppeth. DAVID V. STIVISON APPALACHIAN COMMUNITY ACTION SCHOLARSHIP FUND- This scholarship is sponsored by the Corporation for Ohio Appalachian Development. Applicants must be a resident of the 30 county COAD service area for at least one year prior to the application deadline, reside in a household with a total annual income at or below 200% of the federal poverty guidelines, have obtained or will obtain a high school diploma or GED, and show proof of acceptance into an accredited 2 or 4-year institution of higher education. Application deadline is April 1, 2019 and can be found at www.coadinc.org/scholarships. Copies can also be picked up in guidance. One recipient from each county within the service area will be selected so someone from Vinton County will receive this if they apply. and can be obtained from this site or outside of the guidance office. Applications should be mailed to the address on the application by that date. VFW AUXILIARY POST 5299 SCHOLARSHIP- This scholarship is available to current seniors at VCHS. Preference will be given to those applicants who have family with affiliations to the VFW, although it is not a requirement for application. Applications can be found on this site or in guidance. Completed applications should be returned to Mrs. Rippeth by March 1, 2019. VFW POST 5299 SCHOLARSHIP- This scholarship is available to current seniors at VCHS who will be attending college or a trade school in the fall. Preference will be given to applicants who have family with VFW affiliations, although it is not a requirement for application. Applications are available on this site or in guidance and should be returned to Mrs. Rippeth by March 1, 2019. CLAYTON MILLER SCHOLARSHIP- This scholarship is available to current VCHS seniors who would have attended Wilton Elementary (Wilkesville residents only). Application deadline is MARCH 15, 2019. Completed applications should be returned to Mrs. RIppeth. Applications can be found on this site or in the guidance office. DELTA LODGE 207 FREE AND ACCEPTED MASONS OF OHIO SCHOLARSHIP- These scholarships are available to current seniors at VCHS who will be attending a 2-4 year university or approved adult education program in the Fall. Applications can be found on our website or in the guidance office. Application deadline is March 19, 2019 and should be returned to Mrs. RIppeth. THE MICHELLE DUTCHER MILLER MEMORIAL SCHOLARSHIP SPONSORED BY THE HAMDEN FIREFIGHTERS ASSOCIATION- This scholarship is available to VCHS seniors with a minimum GPA of 3.0 and live in the townships of CLINTON, VINTON, and WASHINGTON (fire coverage area of the department). Applications can be found on this site or in the guidance office. Completed applications should be returned to Mrs. Rippeth by March 29, 2019. VICKIE D. WHITE MEMORIAL SCHOLARSHIP- This scholarship is available to VCHS seniors who have a minimum GPA of 3.0 and who have been accepted into a 2 or 4- year college or technical school. Applicants must also demonstrate need. Applications can be found on this site or in guidance. Application deadline is April 5, 2019 and should be returned to Mrs. Rippeth. ORDER OF THE EASTERN STAR SERENO CHAPTER 128 SCHOLARSHIP- This scholarship is available to any VCHS senior who will be attending a 2 or 4 year university or approved adult education program in the Fall of 2018. Applications can be found on this site or outside of guidance. Completed applications should be returned to Mrs. RIppeth by April 5, 2019. OHIO UNIVERSITY DEPARTMENT OF MODERN LANGUAGES/URSULA FEER FARFEL SCHOLARSHIP- This scholarship is being offered to incoming freshmen who are majoring in French, German or Spanish at Ohio University. The award is for half of in state tuition and is renewable for four years. Applications are available outside of the counselor's offices and have a due date to OU of April 15, 2019. The Harold V. Felton and Ferne R. Felton Scholarship- There are two scholarships that will be awarded. One will be for a graduate who will major in the field of Elementary Education. The other award will be for a graduate who will major in the field of Secondary Education (7-12). You must be a current senior who is attending VCHS and must have attended for at least two or more years. You also must be attending a college or university within the state of Ohio. Application deadline is April 15, 2019 and should be returned to the address listed on the application. You can pick up the application information outside of Guidance or find it on this site. LORENZO LEE SAYLOR SCHOLARSHIP- This scholarship is available to graduating seniors who reside in Vinton County for at least 3 years during high school. Scholarship applications are available on this site or in the guidance office. Completed applications should be returned to Mrs. RIppeth by April 19, 2019. DONALD L. GRAVES MEMORIAL SCHOLARSHIP- This scholarship is availble to current senior female athletes with a minimum GPA of 2.5. Applicants must be accepted into a 2 or 4-year college or technical school. Applications are available on this site or in guidance. Completed applications should be returned to Mrs. Rippeth by April 30, 2019. PAUL HOGAN CHARITABLE TRUST SCHOLARSHIP- This scholarship is available to current seniors who are attending VCHS or are VC students at Buckeye Hills Career Center and will be attending a college, university, or accredited trade school program in the Fall. Application deadline is April 30, 2019. Applications should be mailed to the address listed on the application form. Applications can be found in Guidance or on this site. directly to the organization listed on the cover page. FISCHER FAMILY SCHOLARSHIP- This scholarship is available to current VCHS seniors with proven academic ability in a content area. Emphasis will be placed on academic ability, moral character, and financial need. Preference will be given to those students who reside in Zaleski. Application deadline is April 30, 2019. Completed applications should be returned to Mrs. RIppeth. Applications can be found on this site or in guidance. NELLE L. FISCHER MUSIC SCHOLARSHIP- This scholarship is available to current VCHS seniors who have a proven music ability in piano, voice or a musical instrument in orchestra or band. Preference will be given to those seniors who reside in Zaleski. Applications are available on this site or in guidance. Application deadline is April 30, 2019 and should be returned to Mrs. RIppeth. April 30, 2019 and are available on this site or in the guidance office. SHEPPARD-DUNKLE TRUST FUND SCHOLARSHIP- This scholarship is available to any VCHS senior who is planning to attend college in the area of FINE ARTS. Fine Arts may include any form of self-expression other than athletics, social activities or politics. First consideration will be given to any student planning to major in Fine Arts, however, consideration may be given to other areas of study. Application deadline is May 1st, 2019 and should be mailed to the address on the application. Applications can be found on this website or in the guidance office. RYAN SEITZ MEMORIAL SCHOLARSHIP- This scholarship is available to a senior at VCHS who has a minimum GPA of 2.7. Applications are available in guidance or on this site. Application deadline is May 1, 2019 and should be returned to Mrs. Rippeth. COMMON APPLICATION FOR LOCAL SCHOLARSHIPS- This application is used to apply for many local scholarships.The following scholarships are available for selection on this form: VLTA, John Palmer Memorial, The Carey G. and Mildred R. Strausbaugh , The Alice Taylor, Danielle Brooks, Zaleski Elementary, Donnie Burns, Vinton County Soil and Water Conservation, Larry Kruger Memorial, Vinton County Education Foundation, Brian Molihan, Harold Shively and the Keith Palmer Memorial. Applications are available on this site or in the guidance office. Completed applications should be returned to Mrs. Rippeth by May 1, 2019. No late applications can be accepted. MINIMUM GPA WITH A COLLEGE TRANSCRIPT TO VERIFY. How to compose a resume for colleges that tells them what you did and who you are using your high school information. Gives parents/students a timeframe for completing important college entrance activities. Attention: seniors- please be sure to turn in physical education waivers to Mrs. Rippeth as soon as possible. Several of you either need to turn in the waivers or sign up for PE. Helpful link for college planning: bigfuture.collegeboard.orgThis site provides information such as helping you learn more about a particular college and what it has to offer, financial aid information, how to apply, how to compose a college entrance or scholarship essay and so much more. College Planning Documents for grades 11 and 12 have been posted in the documents section of the website. These documents give you timelines for completion of college related activities and where to go to complete them. Please keep in mind that these were composed by the College Board so they will be SAT specific but if you prefer to take the ACT, you should do so. How to Write your High School Resume- This document will help you write a view of who you are and what you have done while in high school for prospective colleges and universities. It is a guide and only meant to help you organize your thoughts in a manner that is conducive to getting into a college or university. If you will be scheduling a college visit, please remember that you will need to see Mrs. Rippeth to receive a college visit form to take with you. 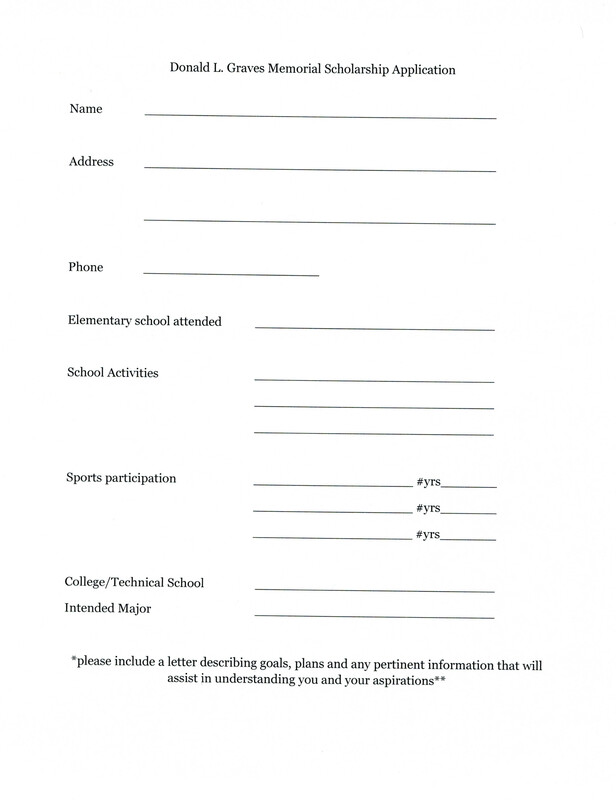 This form needs to be completed 48 hours in advance of the visit and must be signed by a representative of the university and returned when you come back to school. Ohio University Majors Fair- Ohio University offers a wealth of resources to help students find the major that is right for them. The Majors Fair for current students draws faculty and staff from across the University to Athens where students who are undecided can learn about the promising academic opportunities available at OU. This event is scheduled for September 19, 2018 from 11-3 Baker Ballroom. For more information and to register visit www.ohio.edu/admission/visit. Be sure to select September 19th as the visit date. University of Rio Grande College Fair- We will be taking any senior who would like to attend to the University of Rio Grande College Fair on October 11th. This event does NOT count as one of your college visits because it is a field trip. Shawnee State University- We will be taking the first 45 seniors (with signed and returned Emergency Medical Forms) who register with Mr. Allman or Mrs. C. Ward to Shawnee State University in Portsmouth. We will eat lunch at the university at a cost of $7.25. If interested in attending, make sure to sign up. The date will be September 12, 2018. Deadline for EMFs and signup will be September 6th. Ohio University- Chillicothe- OUC will be hosting a Majors Fair on October 18th from 12p.m.- 3p.m. in the OUC Shoemaker Gym. The purpose of the Majors Fair is to bring together representatives from programs at the Chillicothe and Athens Campuses in an attempt to assist students learn more about potential majors that they might like to pursue. ACT Prep Courses- OUC will be offering ACT Prep Courses prior to the October 27th testing date. The prep will be offered on two separate dates. The first date will cover all subjects except math and will occur on October 6th from 9a.m.- 4p.m. This course will cost $100 and will include a lunch. A second class aimed specifically at math will occur on October 13th from 8a.m.- 12p.m. and will cost $50. If you sign up for both courses, you can save $10. Registration for the course should be done at ohio.edu/chillicothe/community/workshopcourses.cfm. Deadline to register is the Wednesday before each course. Hocking College/Tri-County Career Center- We will be visiting Hocking College and Tri-County Career Center in Nelsonville on November 7th. Signups were posted with Mr. Allman. Please be sure to have money for lunch. I have posted a list of all the colleges/universities in Ohio as well as the adult program technology center addresses and phone numbers on this site under colleges/university contact info. I have also included Berea, Marshall and UK. Ohio University Chillicothe will be hosting 3 application nights. These evening events will allow students and their parents to complete the application at no cost. The events are scheduled for Feb. 5, March 6, and April 11, 2019 at 6p.m. These dates are in addition to the Open House Fridays that they host weekly at 10 a.m. PLEASE BE SURE TO TURN IN A LIST OF ALL SCHOLARSHIPS THAT YOU HAVE RECEIVED TO MRS. RIPPETH. INCLUDE THE NAME OF THE SCHOLARSHIP, YOUR NAME AND THE AMOUNT OF THE SCHOLARSHIP. APPLICATIONS FOR BUCKEYE HILLS ADULT EDUCATION PROGRAMS ARE AVAILABLE ON THIS SITE.